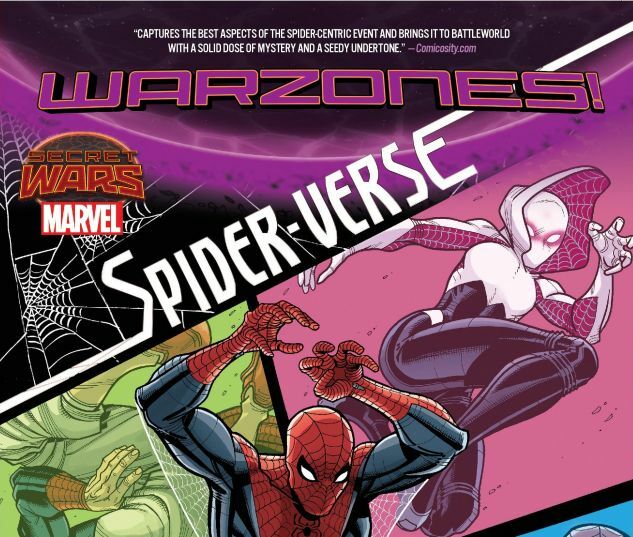 Spinning out of the blockbuster Spider-Verse event, a team of Spiders finds themselves face-to-face with Battleworld! Spider-Gwen, Spider-Man Noir, Spider-Man: India, Spider-Girl, Spider-UK and Spider-Ham are outmatched in a world where none of them belong — and face-to-face with Mayor Norman Osborn! This can’t end well. 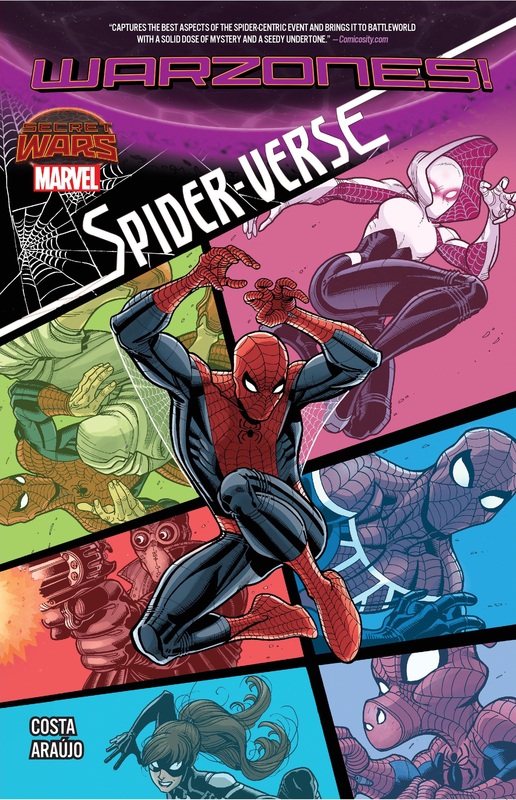 Now, as Gwen Stacy explores her past and Spider-Man Noir goes on the run, the multiversal Spiders race against time — and Osborn — to discover exactly what force brought them all together! Could a possible key to victory be found in the porky paws of Spider-Ham? A new team of Web Warriors is formed as Battleworld gives up its secrets! 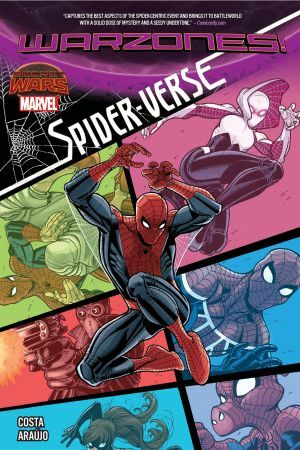 Collecting SPIDER-VERSE (2015B) #1-5.